They discussed regional security after the US presidential election. 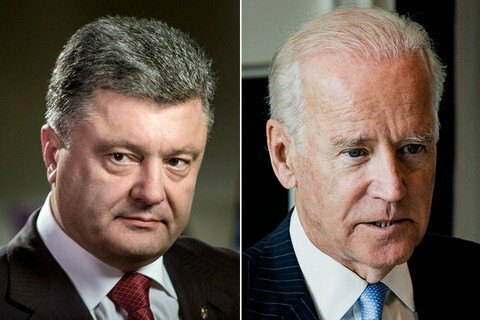 Ukrainian President Petro Poroshenko held a phone conversation with US Vice-President Joseph Biden. They discussed the issues of bilateral cooperation, as well as regional security in the context of the outcome of the US presidential election. Poroshenko and Biden said it was necessary to coordinate efforts for ensuring the fulfillment of Russian obligations under the Minsk agreements and preserving the policy of international sanctions against Russia until the sovereignty and territorial integrity of Ukraine are restored in full. According to Poroshenko's website, they paid special attention to the continuation of support for the Ukrainian reforms that have started to yield tangible results.